ANCHORAGE, Alaska — Seismologists announced Friday the magnitude of Alaska's powerful Nov. 30 earthquake has been revised to 7.1 from the earlier magnitude 7.0. 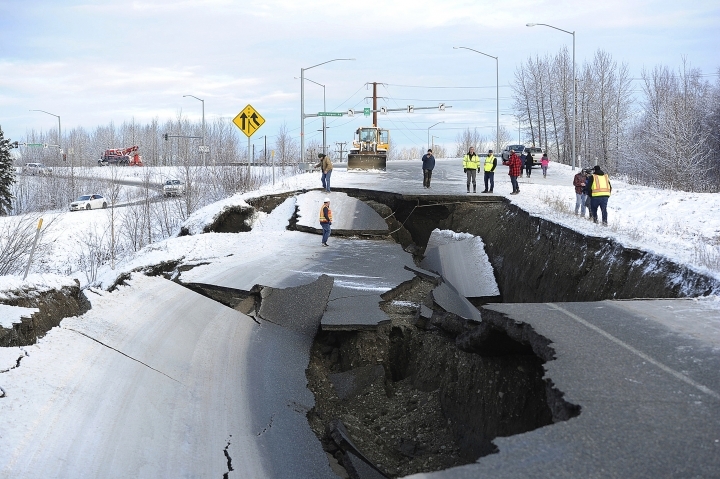 Alaska Earthquake Center officials say in a news release that the change comes after quake data was reviewed by multiple agencies and academic groups. U.S. Geological Survey spokesman Paul Laustsen says the change was made under the auspices of the Advanced National Seismic System. The earthquake buckled roads, and homes and buildings sustained heavy damage. There have been thousands of aftershocks since. Earthquake Center officials say deriving different magnitude estimates is not uncommon as new techniques or more analyses are applied. They say Alaska's massive 1964 earthquake was eventually assigned a magnitude 9.2, but it was considered for many years to be a magnitude of 8.4 to 8.5. Apple reversed its iPhone slump. But what's next?